There is a lot in a name, and the Big Bertha namesake is one that is known throughout the golf industry. It is a throwback to a time when names of clubs caught the attention and imagination of golfers. Big Bertha meant performance and distance. After a time away, Callaway is re-introducing the Big Bertha in 2014 with two separate models, the Big Bertha and the Big Bertha Alpha. THP was fortunate enough to get a chance to conduct in hand testing of the new Big Bertha and see how it measures up to the shadow cast by its name. For the purpose of this review the 9-degree Big Bertha with the stock Mitsubishi Fubuki Zeta shaft was put into play. The Callaway Big Bertha is a Total Performance Driver that debuts our Adjustable Perimeter Weighting – an innovative sliding weight that can be moved around the perimeter of the driver head to help individuals produce longer, straighter drives. Much longer. Much straighter. More than worthy of its legendary name, Big Bertha isn’t just long, it’s Bertha Long. There’s a new continuous Adjustable Perimeter Weighting slide toward the rear of the club. That’s why Big Bertha has 20% higher MOI for more forgiveness AND an INFINITE NUMBER of Draw and Fade bias options. As you might expect, it all amounts to longer, straighter shots. And those are good things. Increase or decrease your loft (up to +2° or down -1°) and adjust Draw or Neutral bias, optimizing your launch, backspin and dialing in your preferred shot shape. In a few clicks, you’ll be fit for maximizing your distance with more accuracy. A high strength, lightweight crown that improbably weighs only 8 grams. And by saving weight in the crown we get: Adjustable Perimeter Weighting, a deeper CG for more forgiveness, and low spin with a lighter, more preferred swing weight. And because you get all of that, it’s pretty clear that when you add more adjustability to a driver, you’ve got to have Forged Composite. 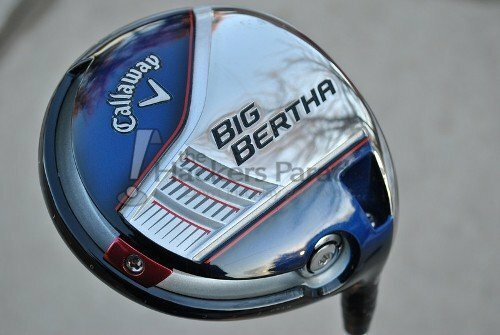 Obviously the name itself brings certain aesthetic thoughts into the minds of those who remember the history of the Big Bertha, but Callaway didn’t simply rest on the laurels of the past with this one. Instead they have brought a look that is just as unique as the name itself. Traditional looks, yet at the same time as outside the box as the technology in the driver head. It’s a hard line to walk and make it work, but Callaway did here with the new Big Bertha. The Big Bertha driver is a 460cc head with an extremely well balanced and traditional overall headshape from address as well as in hand. The face has a good amount of depth to it and the contrast that the brushed face has with the crown of the club actually can serve to aid in alignment. Additionally, the way the new “Adjustable Perimeter Weighting” was implemented into the design is impressive. Aesthetically it just fits in with the entire design, and no matter where the weight is set to it looks balanced, well thought out and implemented compared to the moving weights we have seen in others. With both the Big Bertha and the Big Bertha Alpha, Callaway is applying a blue and red scheme that stands out from what we have seen from them in recent years. 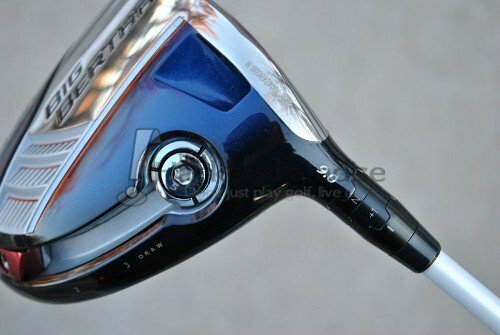 The majority of the head is finished in a metallic blue paint scheme both on the crown and the sole with the color being brighter on the sole of the club and fading into a much deeper blue on the crown itself. In fact, without looking closely, many will not realize the crown is blue when out on the course. This is a very good move as the club will appeal to both traditionalists and the generation of golfers who prefer a little more color. The red accents combined with the chrome on the sole of the club tie everything together incredibly well into what might be the best looking driver that Callaway has released in years. Last year Callaway made strides and set new self standards by producing what many felt like were some of the best all-around sounding/feeling drivers on the market. This year it’s safe to say that they have continued on that path by achieving something impressive with the Big Bertha, a unique sound/feel fitting for such a unique name. The Big Bertha features an immensely solid tone off of the face with a complete lack of the hollow, tinny, or even harsh feedback typically associated with any type of head featuring moving weights or composite materials. This solid tone leads to an equally solid feel that is reminiscent of the days of the much smaller driver heads of yesteryear. All told the feel off of the face could be called incredibly addicting, even on misses. Contact on different areas of the face still provides ample indication to the user of misses through both sound and feel, but in a manner that avoids the harshness we see with some drivers. It is evident that Callaway understands the importance of sound as it relates to feel for users and they have invested themselves in insuring that they get it right. The Big Bertha is by nature a mid-low spin performer and all of the technology both in the head and the shaft choice of the Mitsubishi Fubuki Zeta lightweight shaft lends to creating a mid to mid-high ball flight which can be tweaked and tuned user to user. By now the advanced hosel technology of the redesigned Opti-Fit adapter we saw debut with the Optiforce is well known, with ability to adjust both face angle as well as the loft of the head in both directions. However, when it comes to the ball flight seen off of the Big Bertha the real star is the Adjustable Perimeter Weighting (APW). The first thing one notices about the Big Bertha in hand is the sliding weight around the perimeter of the club, the APW. Uniquely, although other companies have released drivers with sliding weights on them, Callaway was actually the first to patent their sliding weight. 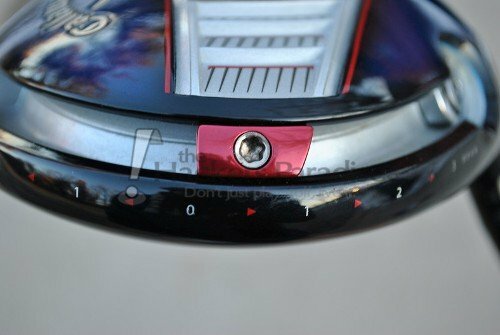 By placing the sliding weight on the outside perimeter of the head Callaway claims it has increased the MOI of the driver as well as truly having an impact on the ball flight with its various fade or draw biased placements. In testing the driver with multiple users who all possess their own consistent ball flights (natural fades or draws) the APW showed to do just what it claims. By moving the weight in the rear of the club the ball flight could be visibly altered from their natural patterns to various degrees based on the setting chosen. The major commonality though was no matter the setting of the fade/draw, the head itself simply wants to hit piercing mid-high launching drives time and time again with impressive consistency. While all of the effects of the APW and shaft pairing technology in the head are impressive, the Big Bertha name has always stood for one thing – distance. Callaway has pulled no punches in saying that the Big Bertha name was not brought back for nostalgia, but was brought back to show that drivers could hit the ball longer and to showcase what the company has achieved with all of the science that has gone into these heads. The APW of the Big Bertha has allowed for a significant increase in MOI compared to previous Callaway drivers and that has been combined with their use of a lighter shaft as well as the lightweight forged composite crown to move the CG of the head lower. All of these things have played a major role in impacting spin and forgiveness. During review, the Big Bertha lived up to the claims put forth by Callaway by showing improved distance when tested head to head with other heads matched with the same shaft and loft setup. Time and time again and in a myriad of different settings the spin and high MOI launch characteristics showed that it certainly lives up to the tradition of the Big Bertha name. The areas of dispersion and forgiveness are undoubtedly where the Big Bertha shined the most during review. The revamped hyperspeed face combined with the MOI improvements of the APW as well as not moving the CG forward has created a driver that provided an impressive amount of both lateral and vertical face forgiveness. Although there is no club that is a remedy for a bad swing, cross face misses on the Big Bertha were time and time again met with much less penal results than anticipated. Particularly off of the toe and both toe/heel side high off of the face the ball maintained a more playable line and much less distance loss than typically seen. That is not to say that there is not a loss of distance compared to center strikes, but it is evident that the hyperspeed face has certainly been improved and as a person who misses across the face it is exciting to be hit with a much lesser drop-off. With the return of the Big Bertha to the Callaway lineup alongside its brother the Big Bertha Alpha it is obvious that many people’s eyes will be on the groundbreaking gravity core technology the Alpha features. However, there is no doubt that the Big Bertha is a technological standout in its own right, and with its spin and launch characteristics alongside its high MOI design, it will fit the majority of amateur golfers out there. 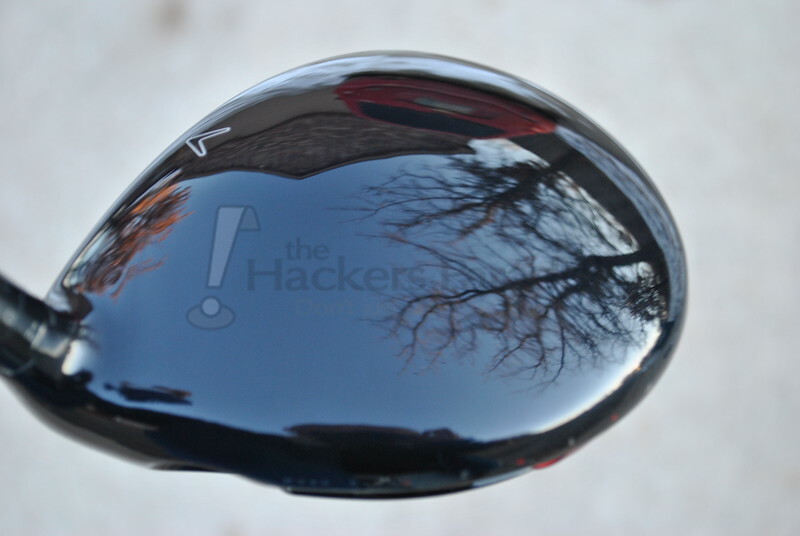 The Big Bertha is an impressive conglomeration of so many of the things we golfers look for in a driver and lives up to the name that Callaway bestowed upon it. 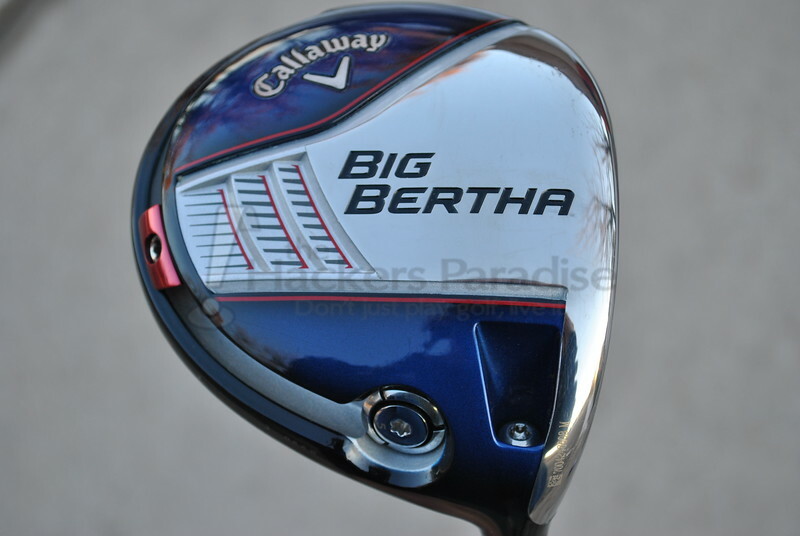 The Big Bertha from Callaway has a price point of 399.00 and will release on February 14th of 2014. For more information on the Big Bertha be sure to check out www.callawaygolf.com. Great review James. This club looks like such a winner, both performance wise and aesthetically. Outstanding review James! This driver has all the bells and whistles that I would ever desire. The looks alone knock it out of the park for me but the real deal is how it makes the game more fun. I am so looking forward to bagging my very own in the near future! Thanks for that great review JMan, I fondly remember the first new driver I ever purchased a Callaway Great Big Bertha, I was a game changer for me back then. I know I need to swing this driver to see what it might do for my game. Great review James! I love the fact that Callaway has brought back the ole girl and it’s also nice to see them toying with composites again. Well done. Great review on an outstanding club! This club is going to be a game changer for many, just like it was for Zoo Crew guys that played it at The Grandaddy! Great thoughts Jman. Sounds like Callaway not only brought back a classic, but improved upon anything before it. Wow,that sounds like one heck of a driver; a real total package. 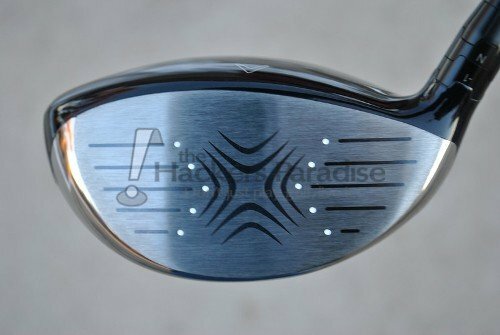 Even more, though, it sounds like it gives immense adjustability without sacrificing forgiveness like another driver with adjustable weight, which I think will appeal to a lot of golfer. Thanks for the review, and looking forward to trying this out at some point. Most excellent review Jman! I really enjoyed reading through and the tech and performance have my interest peaked. I wasn’t playing much golf back in the then, but Big Bertha was well known by even people like me back in the day! Nice write-up James. I cannot wait to hit this new Big Bertha. The original was one of my all-time favorites, and this one sounds like it will be awesome! An outstanding review, as always, James! The BB and BBA look like bombers, and they have been on my “must hit” list since they’ve been announced. Probably the review I have looked forward to the most since joining THP and it certainly didnt disappoint. Being a Callaway Staffer for the MC, this was immediately on my radar. I love the idea of them bringing back the name but bringing it back in a big way with all kinds of technology upgrades. The data and feedback so far have been awesome. Just about every guy from the Grandaddy love this thing. I cannot wait to get my hands on it. Great job on the review James. Alot of information there and some info that I didnt even know and I thought I had read just about everything about it. Love hearing (no pun intended) that the sound and feel are so good. Part of what drew me to the XHot last year. Great review, James. Man I CANNOT wait to see this thing in person. Terrific review James!! Since the driver slot is the one in my bag I have the hardest time filling, The options and variations in the 2014 Callaway driver lines really have me intrigued. There really does seem to be something for everyone. Excellent review James. This driver is going to turn some heads this year. Absolutely can’t wait to get this one on the golf course. Enjoyed this one very much James! Gary Woodland plays the BB! Impressive driver here James. Thanks for the review. I will be looking at these right after they launch. Another fantastic review James! From the moment I heard that Bertha was Back I was excited as it brought back a flow of memories from the late 90’s for me. 20% higher MOI for forgiveness is huge as forgiveness for me is what first draws me to any driver. The 3* of adjustability is plenty IMO, take that 9 to 11 is a nice range. 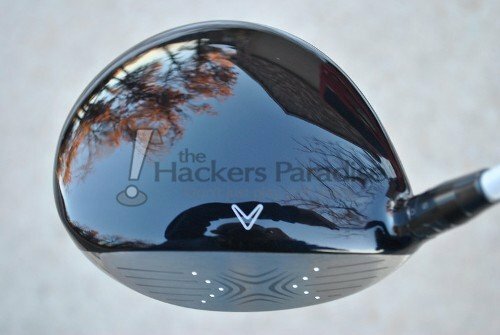 The looks of this driver are second to none and the ability to adjust trajectory without tinkering with the loft each time is a fantastic trait of this new driver. I absolutely love hearing about the forgiveness across the face and really look forward to eventually spending some time with this beauty, thanks for the review! Great work James, it sounds like Callaway worked their magic with this one, I can’t wait to give it a swing, I love the stock shaft choice! A lot of great information in this review. Since I found out about Callaway bringing Big Bertha back I was curious how it would be introduced. They have not dissapointed & I will give this a run when it’s released. Anything that can give me lower spin numbers and still provide the forgiveness is a winner in my book. Great review James as always. nice review buddy. Like a lot of people I am sure looking forward to getting a crack at one of these. What a write-up. I think the top should have been silver, but in spite of that, I want/need this driver! Spectacular review James. Looking forward to getting one of these in hand. Great review James! I love this club. I can’t wait to try it out. As always, great review James! As both of these drivers become available, I am really looking for trying both of them out! I had little doubt we would be seeing big things from Callaway this year, but I was completely surprised when they announced the BB name coming back into the mix. Then they started showing pictures and BOOM, the excitement has gone through the roof. Great review, James. Just guessing this might be the easiest review ever. Should pretty much sale itsself, lol. Nice write up. I’m looking forward to getting a chance to try this one out. Great review, Jman. Nice to hear about the forgiveness they added to the Big Bertha. Love the color scheme as well. I’m very excited about this club and this right up sealed it. An improvement on my current gamer will be key. Jman great write up tons and tons of info packed into this article. It sounds like Callaway hit an absolute bomb here and Big Bertha will suit a lot of players. Does anyone have an idea why BBs slider tech will actually work when two generations of Mizunos were viewed unfavorably? I believe that Mizuno initially provided for 6grams of movement and their second generation provided for 8 grams. It is my understanding that Wishon has opined that one needs to move 20-25 grams to effectuate any change in ball flight. Just bought one of these today. Its a real beauty. I tried out g25, i25, BB alpha & BB. Big Bertha alpha and BB stood out. BB had same distance and ball flight but more forgiveness. Also $100 cheaper. No brained purchase. Its a solid 10 yards longer than my titleist 910 d3. Just got this driver for my wife. Made her go out on the course for a few holes today, and her first two drives went further than she had ever hit them on that hole. We have a cart path that bisects the fairway and she has never crossed it before today. During my buying binge today, I also got a Big Bertha uDesign driver from Callaway Pre-Owned at 35% off. $130 for the black crown/red sole version, 9° with 2ND Gen Bassara 42 Graphite Regular shaft. This review is what led me to get one for my wife a couple months ago, and her experience with it made me wish I had gotten one for myself. Well today the 35% off sealed the deal and it is on the way.